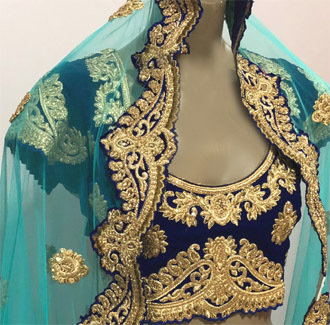 Meenal's Indian Fashions carries a gorgeous selection of latest fashion Anarkali Suits, Lehangas for parties and Indian weddings. Currently available Lehangas in stock range from $79 to $999 Price range. Matching jewelry also available for a large number of Lehangas. 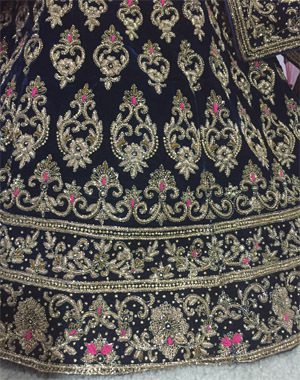 Designer bridal lehenga with heavy svrowski crystal embroidery on velvet with a beautiful contrast net chunni. Unstitched blouse shown on the right can be stitched to your measurement and style. 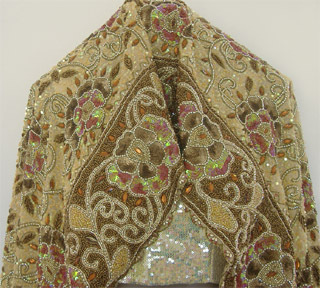 Designer bridal lehenga with heavy sequin and stone embroidery on velvet with a beautiful contrast net chunni. 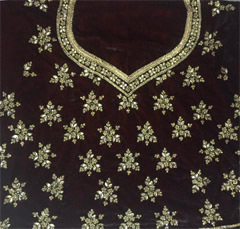 Unstitched blouse shown on the right can be stitched to your measurement and style. 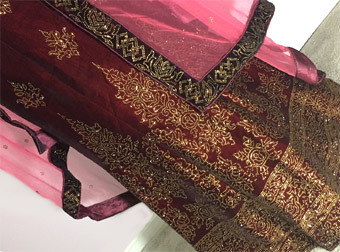 Exotic velvet lehenga with designer contrast net chunni. 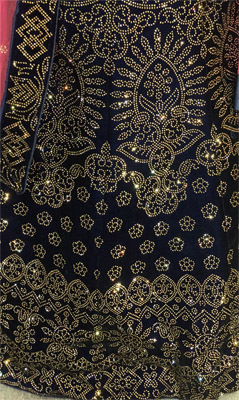 Size: Small 38 - Med 40"
Designer velvet lehenga with extensive svorowski crystal embroidery. 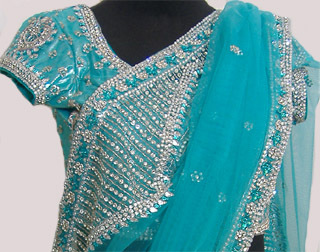 Comes with matching velvet blouse (not shown) and contrast net chunni. 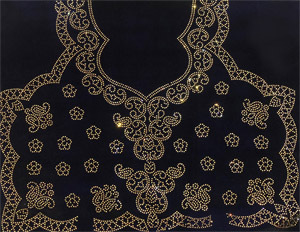 Blouse can be stitched to your size. Please call to discuss size. 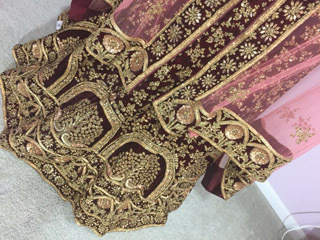 Size: Small 38 - XL 44"
Exotic silk lehenga with extesnsive emboidery and designer contrast net chunni. Designer contemporary lehenga in pure net with heavy sequin, bead and stone embroidery all over including full back of the lehenga. 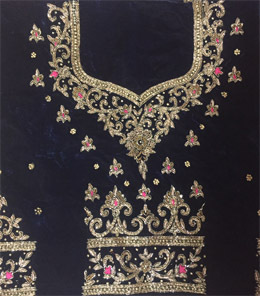 Blouse is matching (not shown above) and can be stitched to style and measurement. 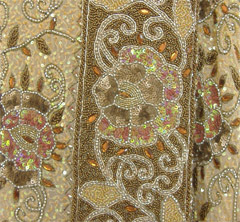 Designer lehenga in net and shimmer with exquisite blend of traditional and contemporary embroidery. 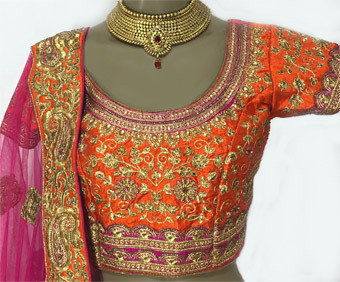 3 Pieces - blouse, lehenga, and chunni.